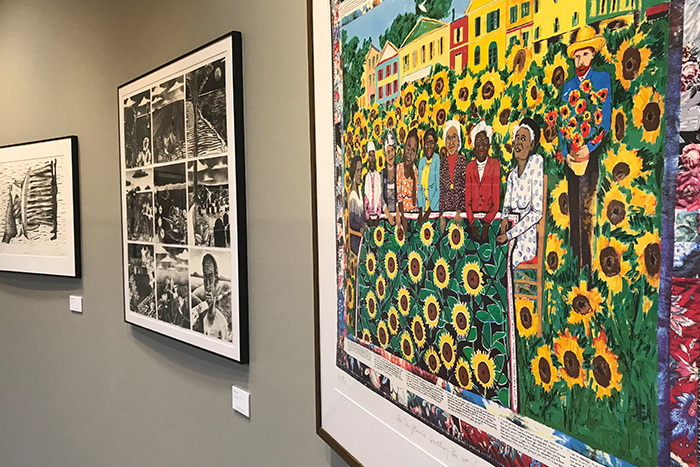 “African American Artists from the Permanent Collection” is now on display in Indiana Tech’s Franco D’Agostino Art Gallery. The exhibition is part of the Fort Wayne Museum of Art’s permanent collection and is on loan to Indiana Tech until March 8. This exhibition contains multiple layers of cultural and artistic components, spanning multiple generations of artists. All of the artists in this exhibition created work in light of the society in which they worked and lived. Throughout their illustrious careers, these artists have produced works celebrating the African experience, highlighting the unique circumstances undertaken by African descendants in the 20th century. Some of the artists included in this exhibition are Romare Bearden, Elizabeth Catlett, Richard Hunt, Karsten Creightney and Sam Gilliam. The D’Agostino Art Gallery is open seven days a week: Monday through Thursday, 8 a.m.-10 p.m.; Friday, 8 a.m.-6 p.m.; Saturday, 7:30 a.m.-1 p.m.; and Sunday, 3-9 p.m. It is located on the lower level of Indiana Tech’s Snyder Academic Center. The gallery was made possible by a donation from Franco D’Agostino, a 1962 civil engineering graduate of Indiana Tech.